The AceProject mobile experience awaits you! 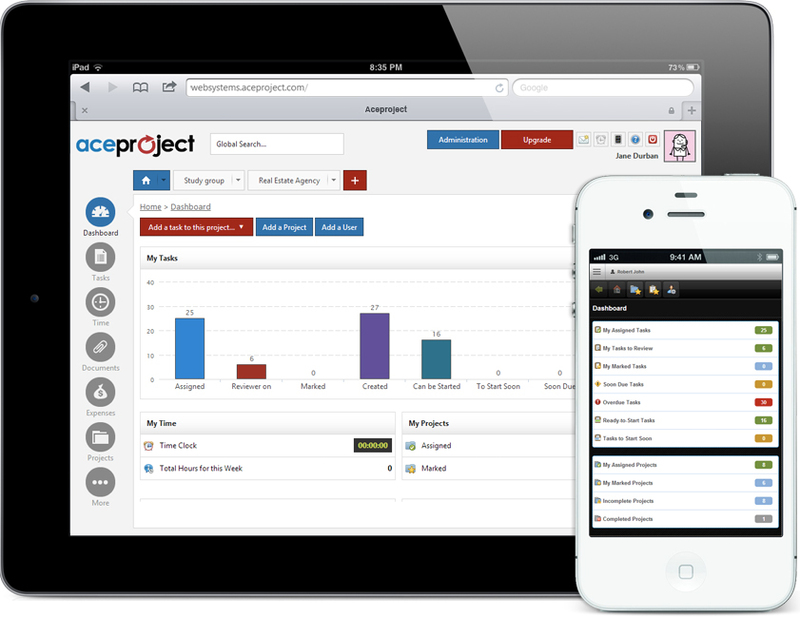 Access AceProject through mobile browsers and native applications with your iPhone, iPad, Android, and Windows Phone. View tasks, add a comment, enter time, close out tasks; all from the comfort of wherever you may be. Open Safari, login to your account and start working from anywhere. All of AceProject’s powerful features on your iPad, just like in the office. Having an iPad offers the flexibility to access the native version of AceProject or the full version via your Safari Browser. The native application offers an optimized interface, layout and navigation that is perfectly suited to a Smartphone. All basic needs are covered and it is a great complement to AceProject’s full browser experience. Fast rendering on your Android device! 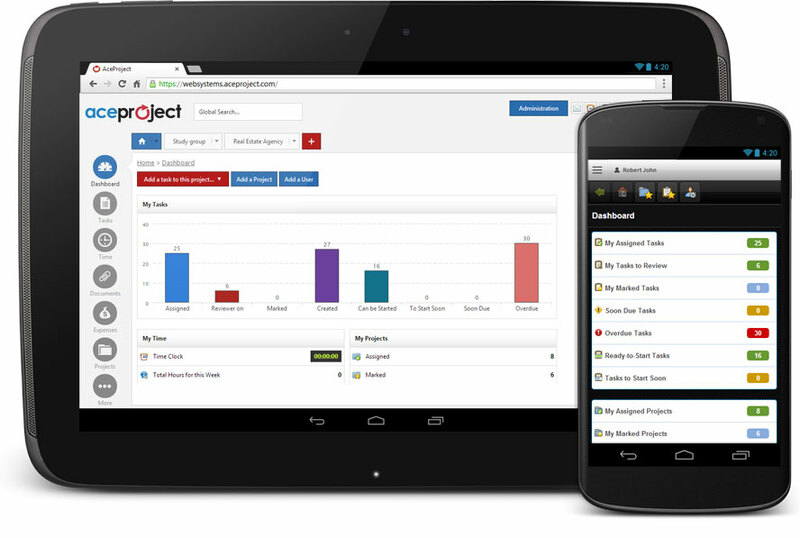 Experience rapid loading times by accessing Aceproject on a Nexus, Samsung Galaxy, or other Android device. AceProject is fully compatible with your Android tablet. Open your browser, login with your account and start working from anywhere. Go native! 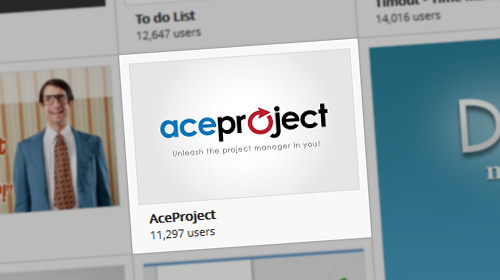 Grab the latest version of AceProject from the Google Play store and begin to update your tasks when you want. Who knew that managing projects could be this easy from a mobile device? 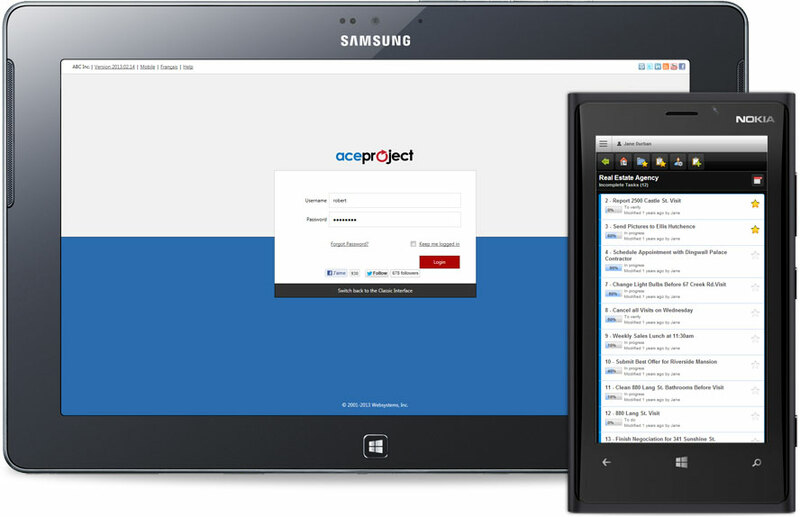 AceProject is fully compatible with your Windows tablet. Open Internet Explorer, login with your account and start working from anywhere. The native mobile version is also available from the Windows Store. Although a native Windows app is not available, experience the same environment as the iOS or Android native app using your mobile browser. Just add the "/m/" to your account URL. 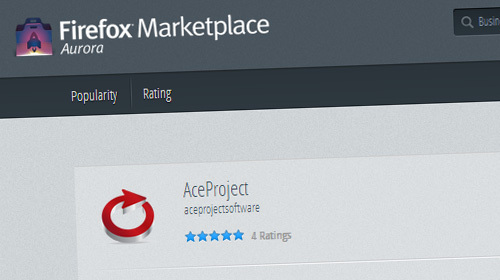 AceProject can be installed from the Google Chrome Web Store. AceProject can install from the Google Chrome Web Store. Visit our dedicated page and rate our application if you like it! 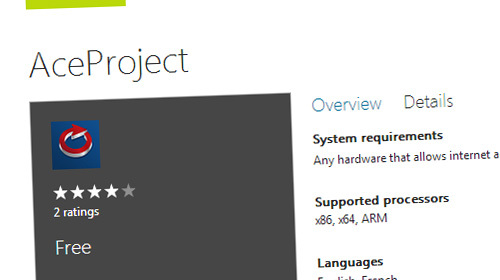 If you are a Windows 8 user, you can install AceProject from the Windows 8 Store. Use AceProject natively from your Windows 8 OS. Pin in to the right or work in full screen mode. You can use AceProject from your prefered website, application, browser or email client, it's up to you. AceProject can be installed from the Google Chrome Web Store. Visit our dedicated page and rate our application if you like it!